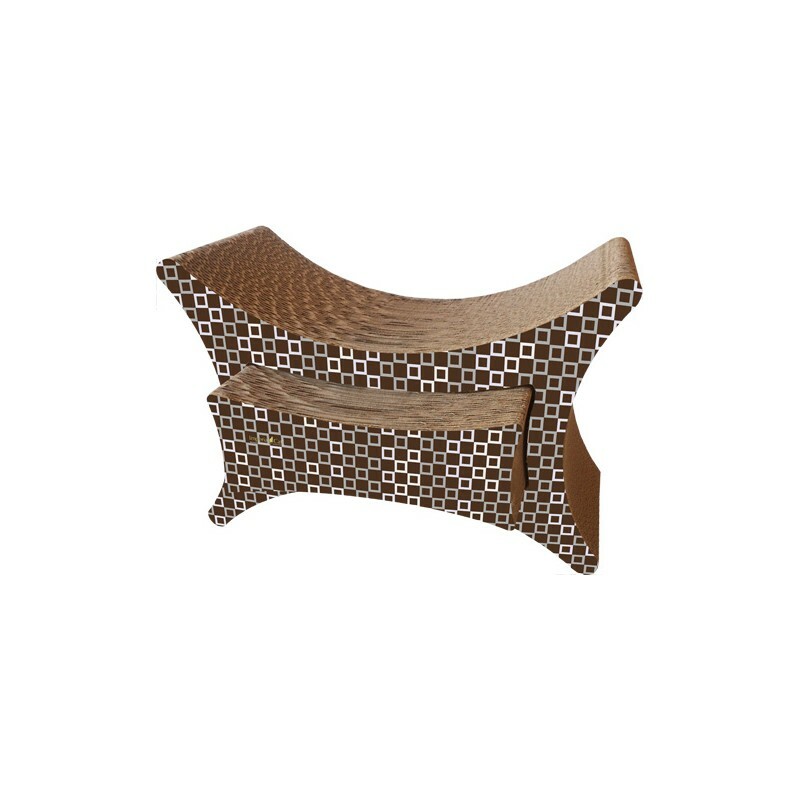 The Tower Perch 'n Lounge is perfect for multi-feline homes or for one very spoiled kitty. 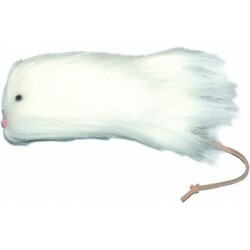 Please note many of Imperial Cat items are produced in assorted patterns. This means the patterns you receive may vary. The company is constantly adding new patterns to keep the selection fresh. 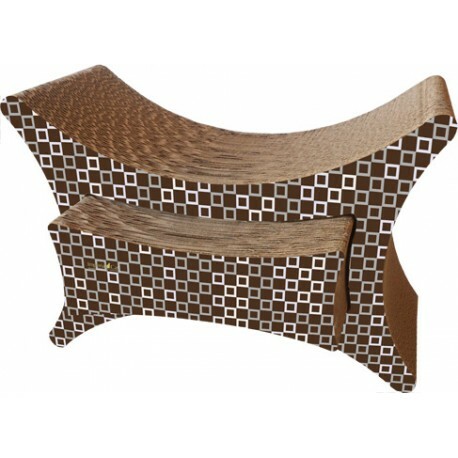 The Tower Perch 'n Lounge is perfect for multi-feline homes or for one very spoiled kitty. Pull out the nesting scratcher and place in another room for twice the fun. 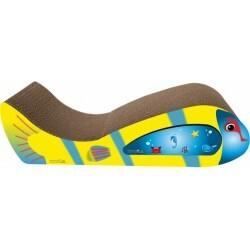 Scratcher can be used on all sides for a lounger or perch. Made from recycled paper. Modern design that is sure to complement any home décor. Dimensions: 9" x 20.75" x 14.5"